Harper Lee died on Friday, two months shy of her ninetieth birthday. But she has effectively been lost to most of the world for a very long time. Since 1964, four years after the publication of her famous, and famously beloved, novel To Kill a Mockingbird was published, and two years after the equally beloved movie version starring Gregory Peck as Atticus hit the theatres, she has guarded her privacy, studiously avoided publicity, and spurned requests for interviews. Apparently when a friend once suggested she use a form letter to refuse requests from the press, she quipped that it should simply read: "Hell, no." It's not my intention to narrate the story of Harper Lee's life here, nor retell the events that surrounded her rise to fame and her subsequent rejection of the life of a "literary celebrity." William Grimes' excellent article on Harper Lee, published in the New York Times on the day of her death does a much better job than I could. You can read that here if you like. As a high school English teacher I taught To Kill a Mockingbird for many years. It is an eminently teachable novel. The vocabulary is challenging but not beyond the scope of most fourteen and fifteen year olds, there is much to learn and discuss in the book, and the characters capture the imagination and the hearts of most readers, even teenage ones. I still love the book, and I've watched the movie at least twice a year since 1994, depending on the number of classes of grade nine I taught in any given year. Yet I never grew bored with either. Or failed to well up with tears at crucial moments. Like when Reverend Sikes exhorts Scout to "Stand up, Miss Jean Louise. Your father's passing." Yep. I needed a tissue there. Again. But as wonderful a book as To Kill a Mockingbird is, I tend to agree with the stance taken by Canadian writer Lawrence Hill in his 2009 article in the The Toronto Star. Hill, whose own novel, The Book of Negroes, grapples with issues of racism, contends that while Mockingbird is a worthy book it should not be the only book in the high school curriculum that deals with themes of racism. That students should not stop reading To Kill a Mockingbird, but should simply read more books like it, books which teach anti-racism but which are more current and which are Canadian. I would like to add, though, that many Canadian high schools do just that. Overall, I agree with Lawrence Hill; students need to be exposed to current Canadian novels which look at race issues in Canada. But To Kill a Mockingbird is still a great book. And the passage of time has not diminished its greatness. So, as someone who knows the novel To Kill a Mockingbird very well.... and who knows a fair bit about Harper Lee, her closely guarded privacy, and her pronouncements that she would never publish another novel... 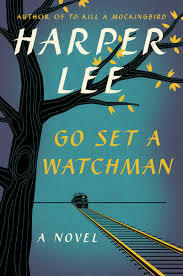 I was stunned when Harper Collins announced early in 2015 that it was set to publish Go Set a Watchman, a "new" novel by Harper Lee. Along with many other readers, not to mention Lee's friends and neighbours in Alabama, I was surprised, then thrilled, and then... well, skeptical. Really? A "new" work? Go Set a Watchman is set in 1950s Alabama, during the civil rights era. In particular during the protests and violence that erupted over racial segregation, and the US Supreme Court ruling in the case of Brown v. Board of Education. 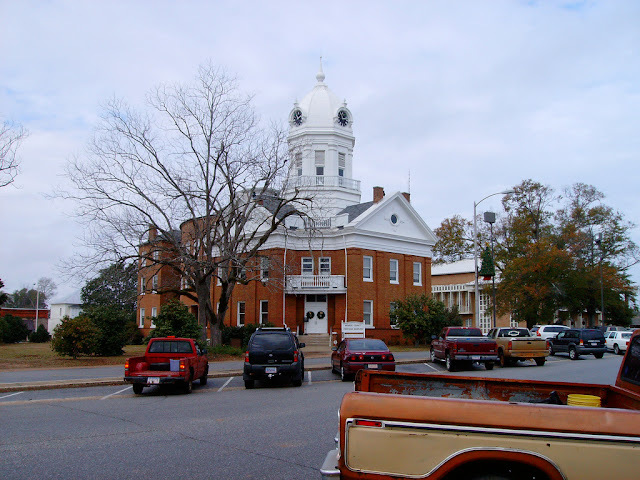 Scout, now an adult living in New York City, travels home to Maycomb, Alabama, where she encounters her father's apparent moral about-face and struggles with her own subsequent disillusionment and despair. I won't say any more about the plot. You need to read the book itself. Because despite the opinions of some, including several members of my book club (we read and discussed the novel last fall), I think it is a book worth reading. Go Set a Watchman, as might be expected of an early draft of To Kill a Mockingbird, is not great literature. But it is undoubtedly the work of Harper Lee, conspiracy theories to the contrary. There are flashes of the brilliance of To Kill a Mockingbird, and beautiful passages of description and dialogue. But there are also many weak passages of long, rambling discussion and political theorizing that I skipped through. For a better understanding of the novel, and of the "southern Liberalism" of the fifties which Lee seems to be exploring in the book, you should read Adam Gopnik's article "Sweet Home Alabama" in the New Yorker. Or Kevin Young's insightful review in Slate. If you do read Go Set a Watchman, make sure you have read To Kill a Mockingbird first. Because, as Gopnik says in his article, once you know and love the character of Atticus, only then can you really understand the depth of Scout's disillusionment with him. And to me that's the value in reading Watchman. In Mockingbird we see Atticus as a hero; in Watchman we see him as a man. Flawed, clinging to outmoded values, trying desperately to shore up a society that is crumbling. 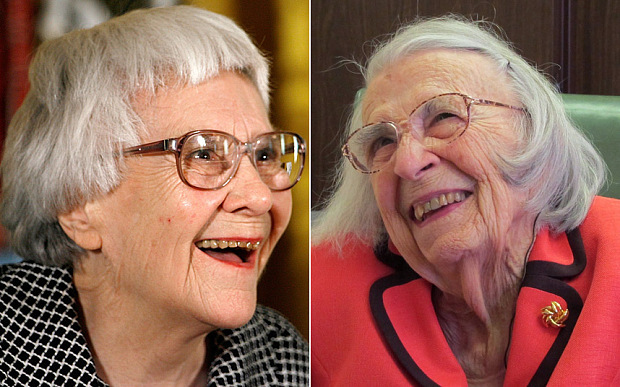 I also don't agree that Go Set a Watchman will weaken Harper Lee's literary legacy. I mean really, To Kill a Mockingbird is still the great book it always was. Okay, so the "discovery" of the Watchman manuscript, shrouded as it is in mystery and controversy seems contrived and a bit silly. And Harper Lee's lawyer and purported "great friend" Tonja Carter seems to be a bit shady, what with accusations that she has manipulated the author, her refusal to answer questions from the press, and the weirdly coincidental announcement to publish Watchman only a few months after the death of Harper Lee's fiercely protective older sister Alice. Alice would probably, according to some articles, have objected to the publication. But none of this real-life literary melodrama should touch Lee's work itself. Or alter the effect that Lee's characters and their struggles have on her readers. And I think the flawed nature of Go Set a Watchman is interesting in that it reveals to us that, just as Atticus is shown to have feet of clay, so Lee herself as a writer is not perfect. Since Harper Collins' announcement last winter, I must have read fifty articles on Lee herself, and this "new" work. 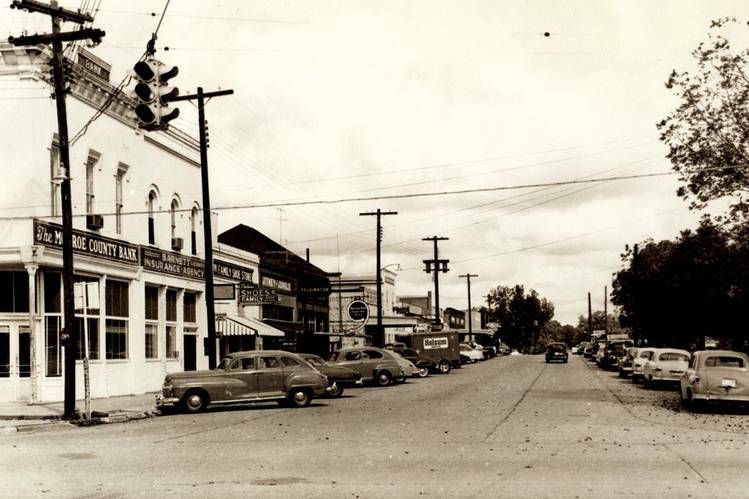 And what they revealed to me besides all the hype and controversy was a glimpse into Lee's early working life, before and after To Kill a Mockingbird. How she struggled to revise Mockingbird, once even chucking the manuscript out of her window into the snow, how she struggled in vain to write a second book. And eventually how she withdrew more and more from the glare of publicity, tired of the scrutiny and the media circus, ever more protective of her privacy. So, you see, she wasn't a literary genius, who gave birth to one miraculously perfect work and then withdrew from the world. 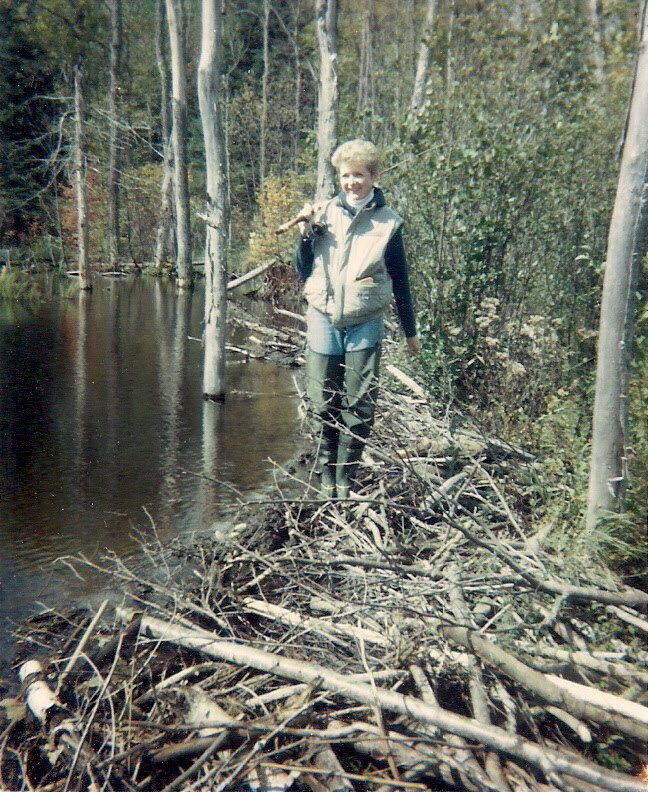 She was a gifted writer who struggled, just as many young writers struggle. And seeing her less than perfect second (or is it first?) novel makes her seem more human. Like the rest of us. I'm sad that Nelle Harper Lee has died. I hope that all the fuss in the last months of her life, since the publication of Go Set a Watchman in July, was not distressing to her. That having long ago said good-bye to all that, she didn't feel once again beleaguered by her own celebrity. Because that would be very sad, indeed. 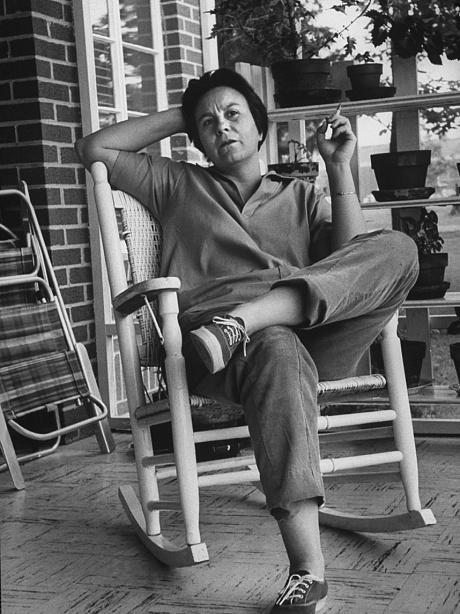 I've never known much about Harper Lee but I'm sure she would love the way you write about her . Some bloggers , you included , have such a way with words . When computers arrived it was said that it would be the death of books & the written word , but no , there are just more options available to us . Thanks, Wendy. Very kind of you to say so. Her book is pretty ubiquitous over here...even in Canada although it's set in the States. Very nice post. My 14-year old son has been reading Mockingbird for English, so the recent publicity has added to his interest. It is one of my favorite books, so I've been reading along, sometimes out loud to him. He is not a willing reader, but has enjoyed this book, as I knew he would. We watched the movie together last night, and I wished many times that there were more contemporary works that shined a light on racism as well as it did. I think it's easy for us to think "that was so long ago," and remain complacent. I have not read Watchman, for many reasons, primarily because I loved her first book so much, fearing disappointment and believe that she really didn't intend for the second to be published. I suppose it feels a little voyeuristic. I'm with you on her lawyer's intentions. I will put it on my list, after reading your review. So glad your son is enjoying TKAM . Even if he is as we say in the teaching trade a somewhat "reluctant" reader. If it's any consolation my husband (who has several univer degrees) was also not a reader as a teenager. He finally kicked into reading for pleasure around age 40. This afternoon,, we were discussing a novel he's reading and I commented that the writer was big in the seventies. "Ah," says Hubby, "That explains why I'm not familiar with him. I still hadn't graduated from Classic Comics." I also wondered if I wanted to read Go Set a Watchman...didn't want to sully Mockingbird by reading an inferior version. But then I looked at it as a draft... and could see real potential. Too bad they didn't "discover" the book in time for it to be revised as a viable sequel to Mockingbird. I have long thought this but today takes the cake. I am deleting all other blogs from my reader, and leaving yours, alone. 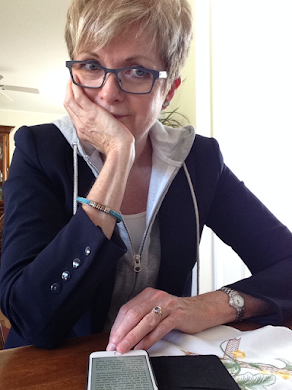 Yours is a pleasure to read: thoughtful, insightful, and above all, well written. I'm chuckling as I read your comment... as Harper Lee might have said..."Ah shucks, ma'am. Y'all are making me blush." Thanks for the kind words...all joking aside, they ARE much appreciated. Your students were very lucky to have had a teacher so willing to bring so much research and passion to introducing them to this book and to many others. I was shocked, when I taught Toni Morrison's novel, Jazz, to a first-year university class a few years ago, at how many of them were completely unaware of many, many aspects of the history of African-Americans. Slavery, lynching, segregation, the fight for civil rights. While this may not be our own Canadian history, and while I agree with Hill that we shouldn't allow our knowledge of egregious racism below the border to make us complacent about that history, surely it's important to know. In the right hands, such as yours. the novel can both teach something of American history and something useful about racism in general, and then can lead to all those other novels that direct the mirror back at ourselves. Really good post -- I can only imagine how many hours went into writing it -- thank you! Thanks for the kind comment, Frances. Coming from a fellow English "teacher" (although I am not qualified to teach at the level you did) this is high praise indeed:) We always taught Mockingbird with historical detail. It doesn't work any other way in my opinion. The past few years my colleagues and I morphed the research project into a presentation unit on social history of the 1930's, whereby kids could explore one area, but be exposed to many other topics through the other students' presentations. I always loved watching the kids present, using quotes from the novel to support the relevance of their research. One cool thing (IMO) we did was make sure that the "thesis" of their presentation was an explanation of how their research helped them understand the novel, and its plot, characters and themes better. Okay...must stop waxing nostalgic about teaching. I had to delete a couple of paragraphs from the post because I went on and on about the novel and how wonderful it was to teach. It DID take hours to write the post...thanks for saying that:) I kept getting sidetracked with more reading, fact checking, writing only to delete what I had written when I went on a tirade. Still... it was a labour of love. Now rereading the post as can't believe it took so long to write something so short. Do you still have the portions of this post that you deleted? I'd really like to read them (particularly the tirade). I loved my high school English and Social Studies classes and always look for more opportunities to learn from people who teach or taught those classes. Sorry, Leslie...they are gone for good. Just know that the tirade part included responses to the writers of some articles who have no idea what actually happens in a classroom. They seem to think that since we are teaching the same book we're doing it the same way as it's always been done....and nothing could be farther from the truth. Oh.... and there would have been lots of hand waving which is something I do when I'm on a tirade. One former male colleague used to do a perfect imitation of me ranting... wish I had a video of that. Yikes, just went back and reread what you wrote -- and see we agree with everyone else, except Hill in that earlier article, that the novel is set in the 30s. You'll be relieved to know he's on board now -- that's the time frame he cites in The Globe this past weekend. I kind of wondered...if I had said it was set in the fifties... And went back to check. I missed the more recent Hill article. Must see if I can find it on-line. And then I am well and truly done reading about Harper Lee ... for a while, anyway. Yep, a great book and an tender soul who wrote it. As a former high school English teacher myself - I never taught it as it wasn't part of the 11th grade curriculum - but I appreciate it and its wisdom just the same. I enjoyed your tribute here. Thanks, Barbara. Reading about Lee again while writing this, I wondered how awful it must have been to not be able to follow Mockingbird with a second book. How stressful and demoralizing that must have been. I always enjoy your writing but this piece really spoke to me. Thank you for taking the time to write so thoughtfully, and for providing some great links for further reading. You enhanced my enjoyment of the book, wish I was in your book group! I have hesitated to buy the second book, somehow not wanting to "taint" what came before. But now I am intrigued. On verra, on verra, on verra... Perhaps I will treat myself sometime soon. Maybe I need to remember that line from Heck Tate in Mockingbird..."I may not be much Mister Finch. 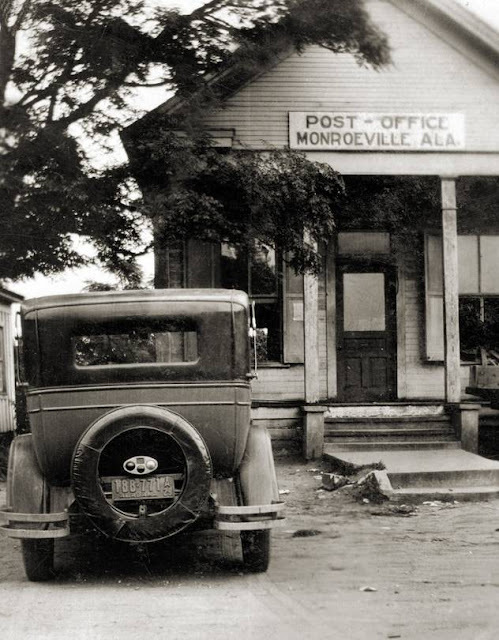 But I'm still sheriff of Maycomb county, and Bob Ewell fell on his knife." And preface all my comments with "I may not be much of an expert on many things... but I do know books." It has been many years since I read To Kill a Mockingbird and saw the movie but much appreciate your thoughtful post on this and her demise. It must have taken some time to write and that is appreciated. Like others have said I have been reluctant to read Watchman in fear of tainting what had gone before. However, as a result of your piece I shall now put this on my ever growing reading list. I am now off to read the articles you reference! Don't read Watchman expecting Mockingbird. 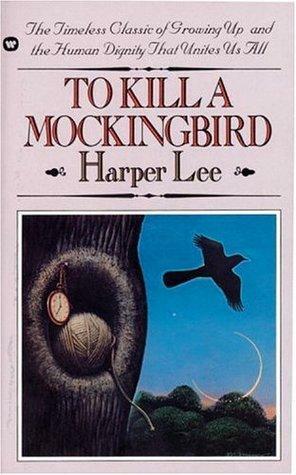 Just read it for what it is...something else Harper Lee touched but which was never really finished. I have not read Watchman because I think that if Harper Lee had wanted it published, she would have submitted it for publication. For that reason, I would feel like I was invading the very privacy she so valued if I read it. Instead, I re-read TKAM, as it is her masterpiece. Thank you very much for writing about both. I get so much out of your book reviews! Thanks Leslie. I can understand your reluctance. And I agree that it's a book that she probably did not want to see the light of day... her lawyer's protestations aside. Very nice tribute to a writing icon. Oops, so sorry Iris for missing your comment and not replying. Thanks for the kind words. I'm a little nervous now that so many of you have said you are reconsidering reading Watchman... hope you aren't disappointed. Let me know what you think when, and if, you read it.